Use the form below to purchase a one-time annual membership. Planning to be with us for the long run? Use the form below to have your membership be automatically renewed each year. Don’t worry! You can cancel your subscription at any time. There is nothing in business today that provides as much economic and social benefit, on as many levels, as a strategic partnership. The Main Street Gallery provides the space for meetings, classes or receptions to our members. The Soper Reese Theatre provides seating for 265. Business Sponsors receive 2 tickets for the Classic Movie Night, 2 tickets for an LCAC event and will be identified on the theatre screen at Lake County Arts Council events. LCAC Youth Art Programs have continued to grow. As a result, additional classroom facilities are needed to support the programs growth. Your membership as a Business Sponsor will help to achieve this worthy goal. The Lake County Arts Council is broadening its business and art landscape with the Big Art Radio program on KPFZ 88.1fm. The program brings another facet to the art and business scene. Art Notes is the official news journal of the Lake County Arts Council. Published quarterly, Art Notes contains all the current news about the Arts Council. Art Notes will also display a list of Business Sponsors, identifying them as a sponsor of the arts. The LCAC website, lakearts.org, will provide your Business with a place on our website which will bring a new and broader audience to your business and we will provide your website address for additional viewer opportunities. 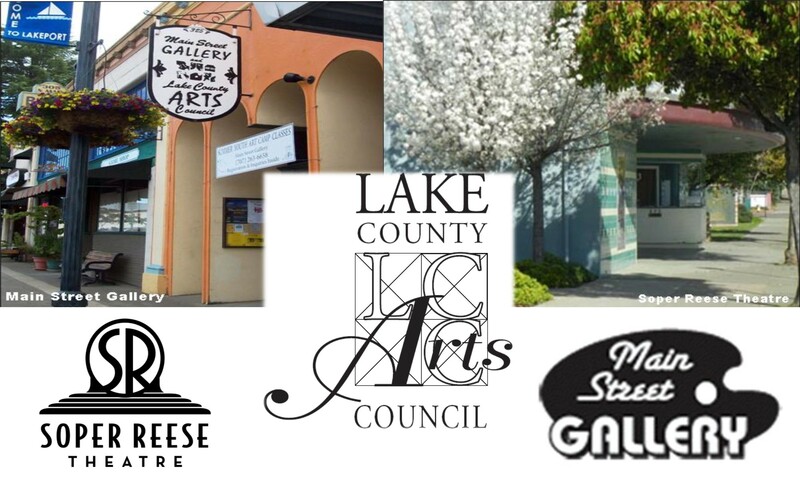 The Lake County Arts Council’s Facebook page has hundreds of followers and all events hosted by our Business Sponsors will be featured on our page. A framed letter of recognition as a Business Sponsor will be provided to be displayed at your place of business. More importantly, you too, can be a part of connecting the arts to the community. Please join us. Volunteers are the lifeblood of our organization. Contribute by hosting at the Gallery, selling tickets, or helping with our many activities and classes. The list goes on. What are your talents or your passions? We welcome your input and support. For more information about joining and participating, stop by the Soper Reese Theatre, or call 263-0577, or the Main Street Gallery Tuesday – Saturday 11:00 – 3:00, at (707) 263-6658. Please join using our online application or download the application and return by mail.